You’re invited to an all-day festival of radical books, zines, prints, and more! 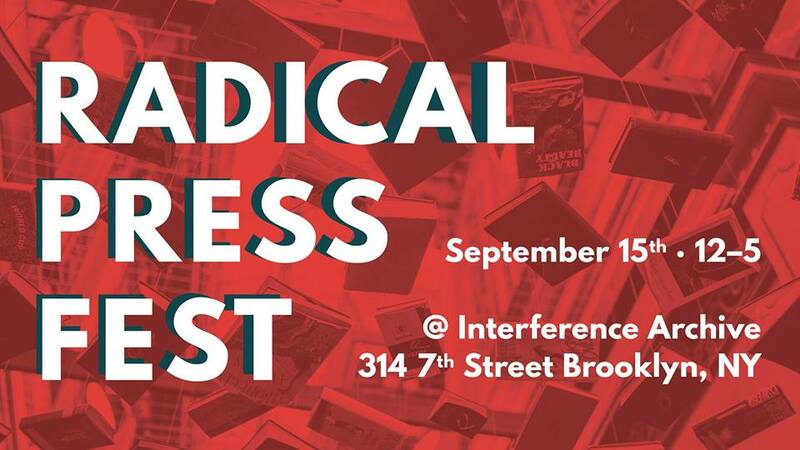 “The Radical Press Fest” will bring together publishers working in different genres and on various scales to give a sampling of what radical publishing looks like. Vendors include Common Notions, Radix Media, Justseeds, the Operating System, Interference Archive, Rebozo, Ink Cap Press, EFA Robert Blackburn Printmaking Workshop Program, and more!